Lizz is a social worker, who’s also trying to be more social. She really likes science fiction, like Doctor Who and Star Trek. So, she’s getting together as many friends as the blog’s recording equipment allows, catching up with friends, watching a show, then sitting down to talk about it. 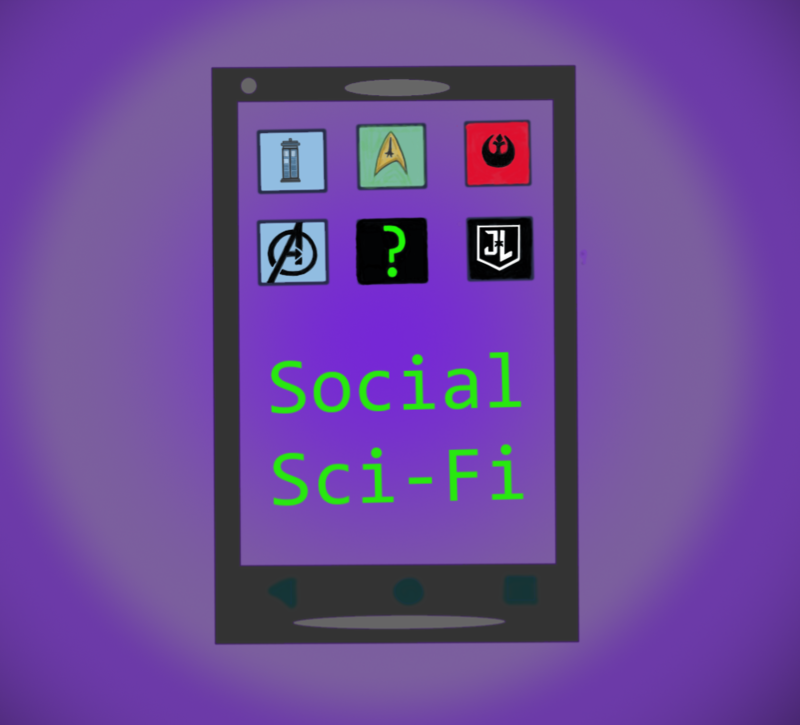 Social Sci-Fi will be a monthly podcast featuring Lizz and a group of friends, talking about science fiction and fantasy television series, movies, and more. 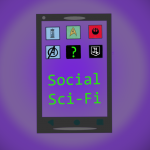 Produced and edited by Tony Troxell, and part of the Team Geeking Family of Podcasts, this podcast will be released the second Friday of every month. Stitcher Radio Please, subscribe and review! Apple Podcasts Please, subscribe and review! Episode 1: The Woman Who Fell To Earth (2/08) – In the first episode of the podcast, Lizz gets together with Luisanna, Rachel, and Gregg to talk regeneration, fan reactions, and the first episode of Series 11! Episode 2: The Ghost Monument (3/8) – Lizz gets together with Kendra, Rachel, and Ryck to talk about the second episode of Series 11! BONUS EPISODE: Captain Marvel (3/22) – In this bonus episode of the podcast, Lizz sits with Luisanna, John, and Mike to talk about Captain Marvel, “fan” reactions, and the MCU in general. Episode 3: Rosa (4/12) – Luisanna, Kendra, and Rachel join Lizz at the Geek Cave Studios to talk about the third episode of last season. Episode 4: COMING MAY 10TH! Episode 5: COMING JUNE 14TH! Episode 6: COMING JULY 12TH! Episode 7: COMING AUGUST 9TH! Episode 8: COMING SEPTEMBER 13TH! Episode 9: COMING OCTOBER 11TH! Episode 10: COMING NOVEMBER 8TH! Episode 11: COMING DECEMBER 13TH!